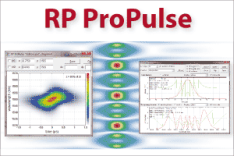 The software RP Resonator can be used to calculate stability zones of laser resonators, and to find optimized resonator designs e.g. concerning the location of the operation point within a stability zone. When a parameter of a laser resonator (optical cavity) such as an arm length or the dioptric power (inverse focal length) of the focusing element in the resonator is varied, the resonator may go through one (for ring resonators) or two (for standing-wave resonators) stability zones. In a purely geometric analysis, stability means that a ray injected into the optical system will stay at a finite distance from the axis even after many round trips. In this regime, the resonator modes (self-reproducing field configurations, calculated with wave optics) are of much simpler structure than for an unstable resonator. The properties of the resonator modes can vary strongly within a stability zone and also between different zones. Figure 1: Stability zones of a standing-wave laser resonator. The curves show the beam radii at the end mirrors and in the laser crystal as functions of the focusing power (dioptric power) of the thermal lens of the gain medium, which is roughly proportional to the pump power. Here, the left zone is zone II according to Magni, and the right one is zone I. At the edges of the stability zones of a linear resonator, the beam radii at the resonator end mirrors can either diverge or vanish. 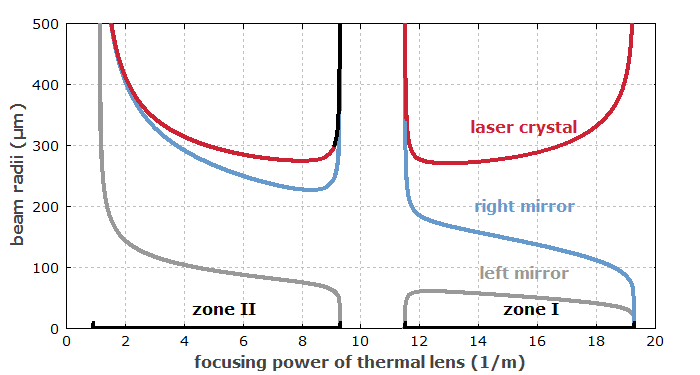 In the case of a variable lens, such as the thermal lens in the laser gain medium, the beam radius at the position of the variable lens goes through a minimum somewhere within a stability zone, and diverges at the stability edges. Both stability zones of a linear resonator have the same minimum beam radius at the variable lens, but are very different in other respects. In particular, one of the stability zones (called zone II according to Magni) has a stability edge where the mode sizes on both end mirrors diverge. At this point, the alignment sensitivity of the resonator also diverges, so that stable operation of a laser near such a point is difficult to achieve: not only mirror tilts, but also asymmetries of the thermal lens, as can occur during pump alignment, critically affect the transverse position of the laser mode. The other stability zone, called zone I, does not exhibit such a divergence of alignment sensitivity, and is generally overall better than zone II in terms of stability. The width of the stability zones in terms of focusing power of the variable lens is twice the wavelength divided by π times the square of the minimum beam radius at the variable lens. This means that resonators with a large minimum mode size inevitably have narrow stability regions. Only one of the two stability zones of a linear resonator may be observed, e.g. when the variable lens is very close to one end mirror (shifting zone I into a regime with very strong focusing), or when both stability zones merge to form a single zone of twice the width. In cases without circular symmetry around the beam axis, the stability zones for the horizontal and vertical direction can be different, and may not overlap. Ring resonators have only a single stability zone. At both edges of the stability zone, the mode radii diverge. However, only at one of the edges the alignment sensitivity also diverges, whereas it reaches a minimum on the other stability edge. The minimum mode size at the thermal lens again determines the width of the stability region in terms of dioptric power, but that width is twice as large as for a linear resonator. The differences to linear resonators are related to the fact that in a ring resonator the laser beam passes the thermal lens only once per round trip, instead of twice as in a linear resonator. 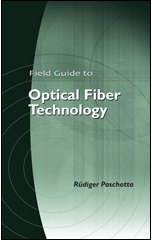 High-power solid-state lasers are often designed with a relatively small minimum mode size in the gain medium, because otherwise the stability zones would be too narrow, and the laser could be operated only in a narrow range of pump powers. A consequence of that, however, is that the laser will oscillate on multiple transverse resonator modes and thus not generate a diffraction-limited output beam. 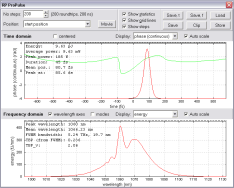 For stable operation of a laser with diffraction-limited output (high beam quality), it is often preferable to operate close to the point with minimum mode size in the gain medium, and of course to design the resonator such that this mode approximately matches the pump intensity distribution. Such an operation point minimizes the sensitivity to small changes of the focusing power of the thermal lens. It can also be preferable to operate a laser in stability zone I in order to minimize the alignment sensitivity. There exists a systematic procedure to find a resonator design which operates at the beam radius minimum of the wanted stability zone, while meeting other requirements such as a suitable minimum mode size.